Betty was born December 6, 1942 in Blackfoot, Idaho to Newel and Vera Poulson Belnap. She married Franklin Darrel Winmill on December 9, 1960 in Blackfoot Idaho They moved to Burley, Idaho in 1961 and bought a farm out in the Jackson area by the Minidoka Dam. She worked hard on the farm for many years until she went to work for Kraft Foods in Rupert, Idaho. Betty also enjoyed driving truck for Gordon paving with Darrel. 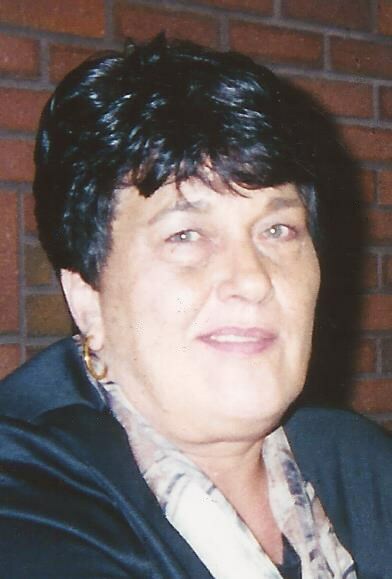 Betty was a hard worker and loved playing sports. She loved watching her kids and grandkids play ball as well. She is survived by her six children Maro (Tamara) Winmill, Brock (Joani ) Winmill, Todd (Marlene) Winmill, Troy (Nancy) Winmill, Lonny (Jenny) Winmill all of Burley and Rupert and Brody Winmill of Las Vegas ,NV. and many grandchildren and great grandchildren. She was preceded in death by her parents, her husband Franklin Darrel Winmill, Her daughter Trina Winmill Robbins, two brothers, Bob and Milt Belnap and one sister, Nola Belnap Curtis. Funeral services will be held Wednesday August 8, 2018 at 10:00 a.m. at the Burley LDS 7th Ward behind Dairy Queen in Burley with Bishop Brent Winn officiating. Burial will follow at the Paul Cemetery. Friends may come Tuesday evening from 6-8 pm. at Hansen Mortuary in Rupert for a Viewing and one hour before the service at the church on Wednesday.